The Netherlands, often mistakenly called Holland, is an amazing country whose culture and people are referred to as Dutch. Confused yet? Even though many people refer to the entire country as Holland, the name isn’t representative of the entire country. Holland is actually just one region of the Netherlands, and North Holland and South Holland are two provinces (like states in the USA). 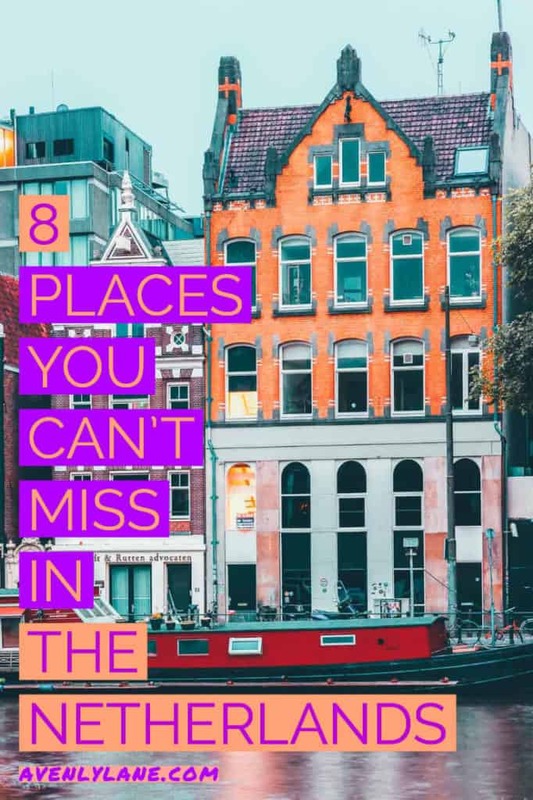 Though the biggest cities are in these provinces, there is a ton to see in the rest of the Netherlands. 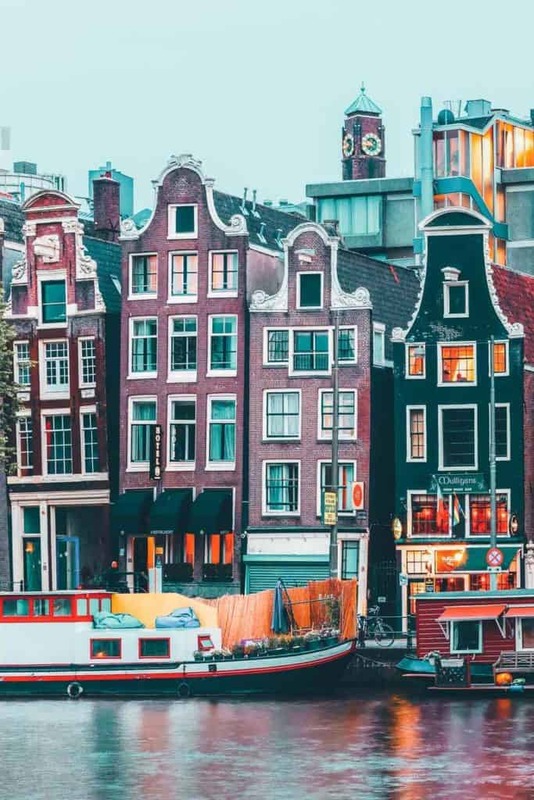 The Netherlands are commonly known for their cannabis cafe/coffee shops, red light districts, and museums dedicated to famous painters (Van Gogh, Rembrandt, etc). Independent of those things, the Netherlands still provide the perfect European experience. It perfectly blends classic European charm with modern development. Whether you are looking for a romantic getaway or a happening night life, it can easily be found in this country. The country itself isn’t that big and can easily be canvassed by rental car, or by their superb public transportation options. 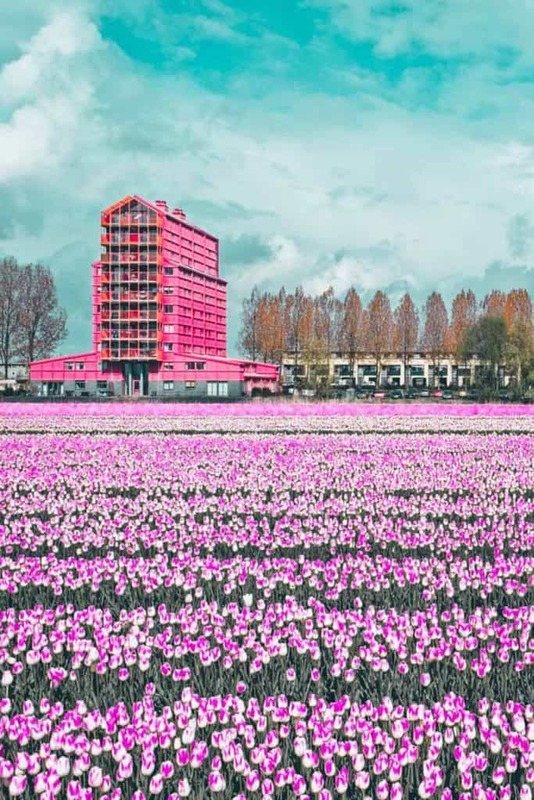 Below are our favorite top Netherlands tourist attractions. During World War II the Germans bombed and ultimately destroyed a lot of Rotterdam. 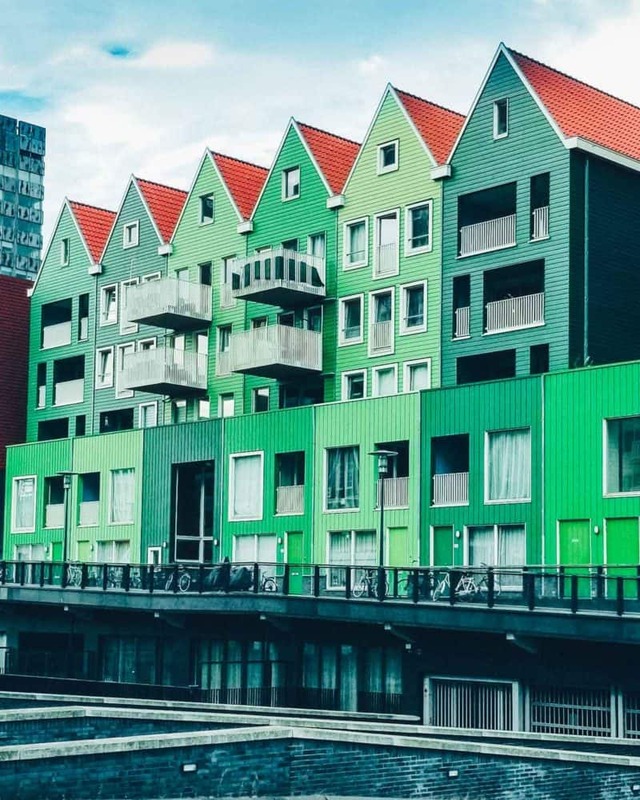 Rather then reconstruct the buildings as they were, designers made lots of the new buildings extremely modern in design with creative architecture. 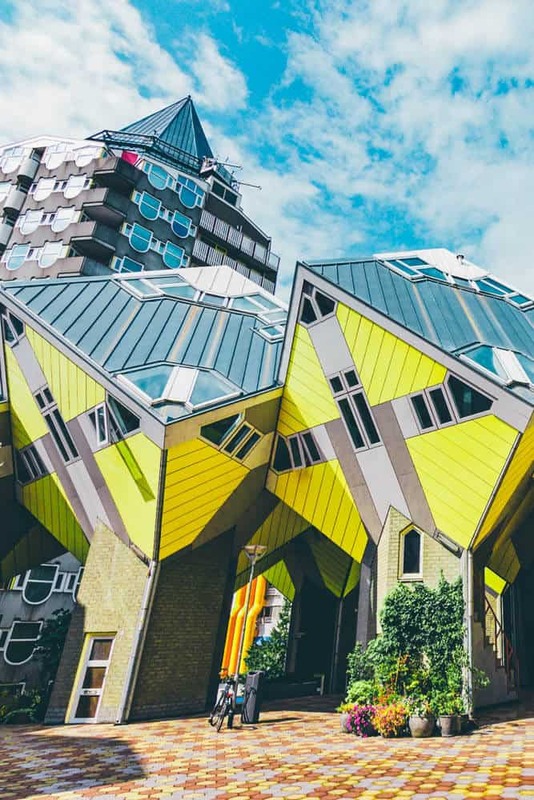 The Cube Homes of Rotterdam display exactly that. The Anne Frank House is now a museum in Amsterdam; it soberly commemorates the need for Anne Frank’s Jewish family to hide to avoid Nazi persecutors. Unfortunately, Anne Frank did not survive the war, but her diary memories and hiding spot did. 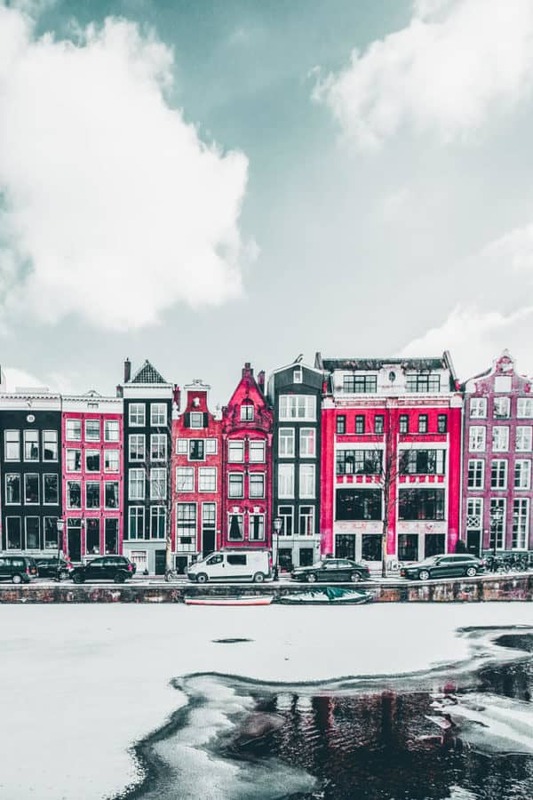 Tickets to Anne Frank House Museum can be purchased online ahead of time, or if you prefer tickets for Anne Frank House Museum can be purchased once there for about $10. You can purchase tickets here if you are interested! 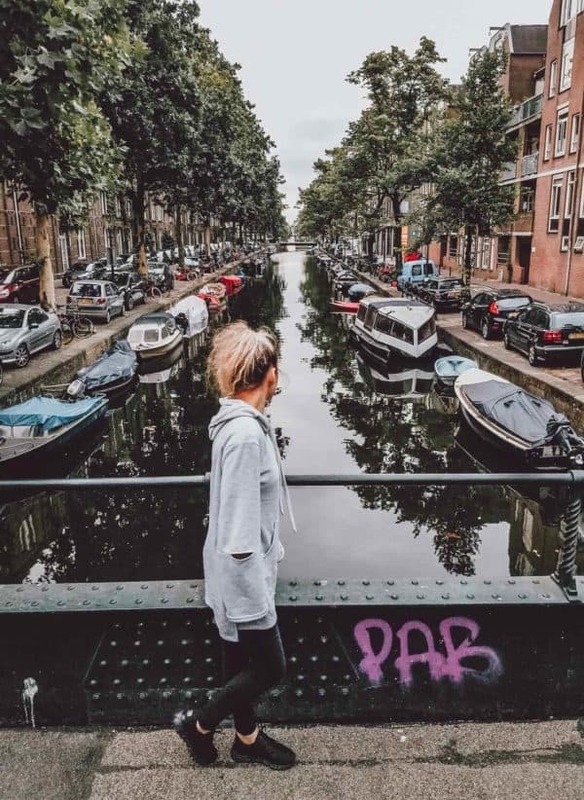 There are so many fun things to do in Amsterdam and the canals are just one of them! This gorgeous city features over 50 miles of manmade canals with over 1500 bridges crossing over them. Most of the canals of Amsterdam were dug in in the 1600s in concentric circles around the city center. Even though they are now mostly appreciated for being extremely beautiful and a testament to unique city planning, they originally were extremely helpful in transporting goods as well as in defense of the city. There are many great ways to see the Amsterdam canals. You can view them by walking along, take one of the famous Amsterdam river cruises, or a smaller Amsterdam boat tour. 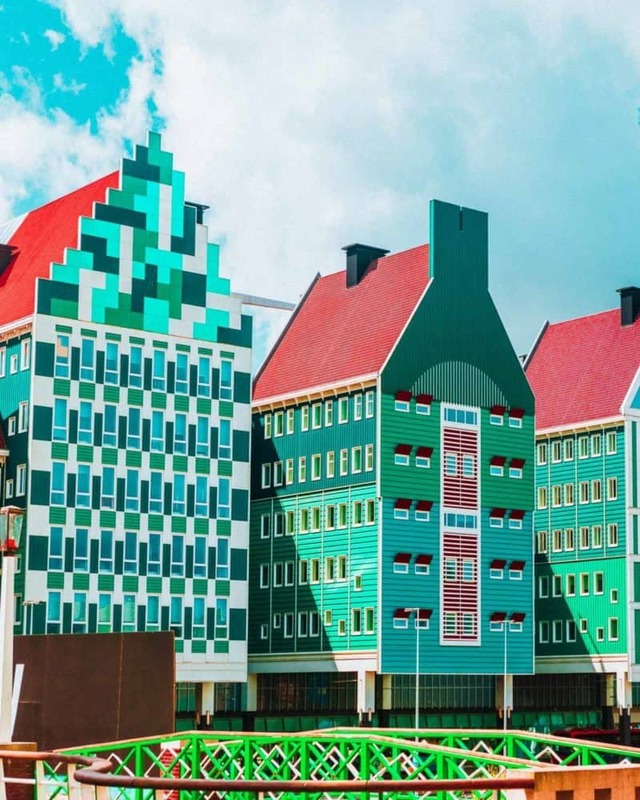 Zaandam Netherlands is a small city/suburb of Amsterdam known for its ramming together of traditional dutch architecture with modern design. 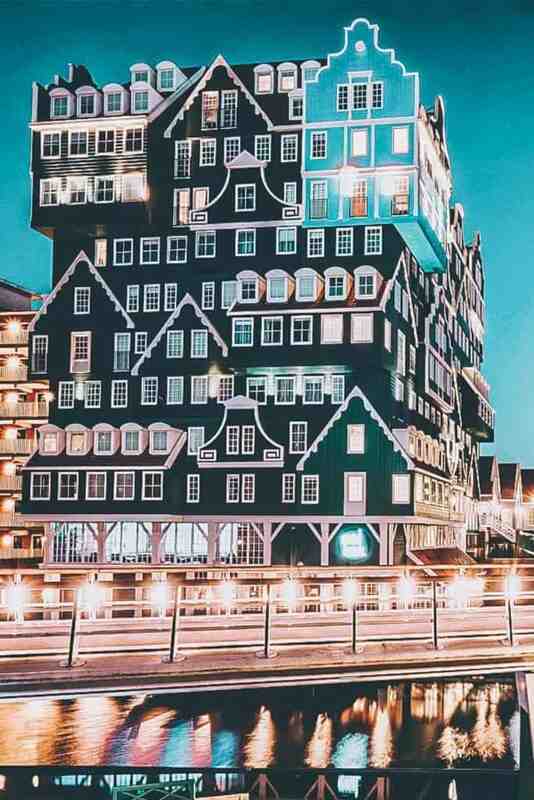 My favorite example of this amalgamation is known as the Zaandam Hotel (Inntel Hotel Zaandam). 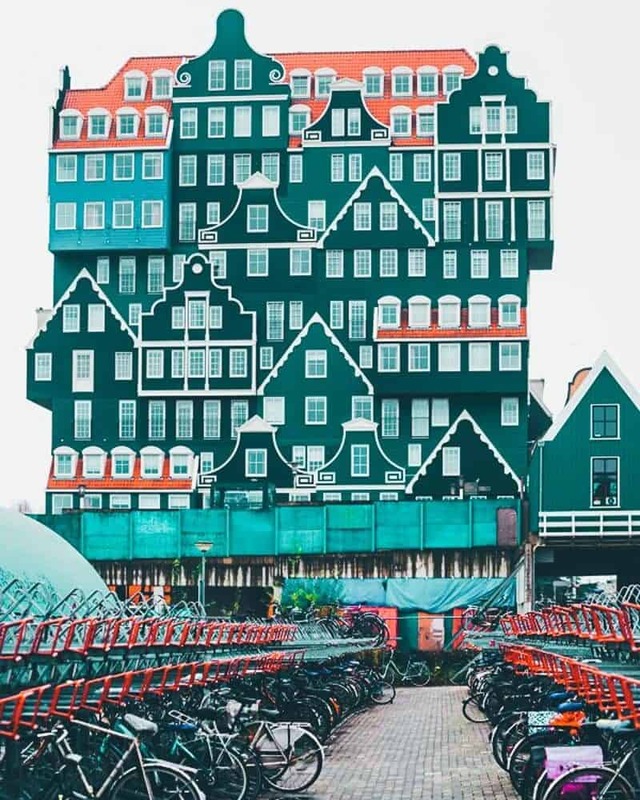 Zaanse Schans is also located in Zaandam. 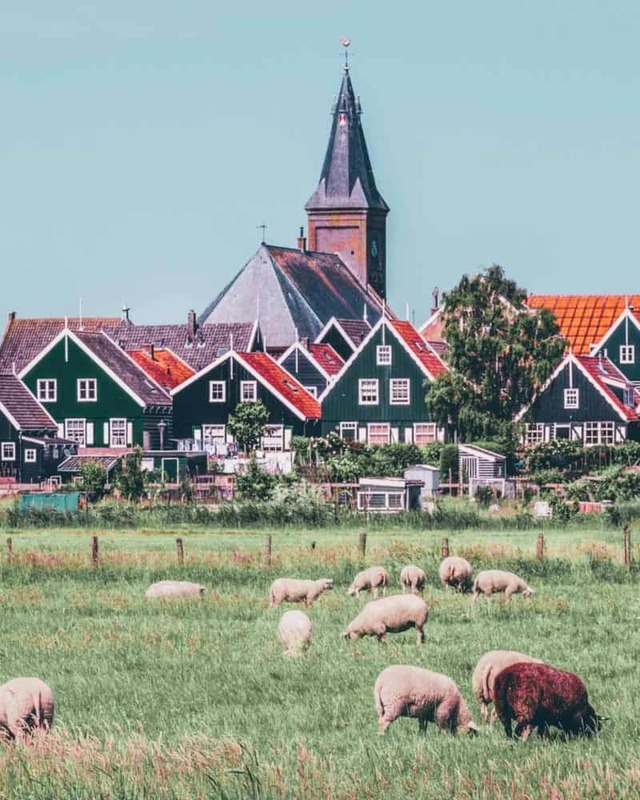 The traditional Dutch way of living is alive and well at Zaanse Schans. This museum pays homage to the traditional windmills by allowing you see them in action up close and personal. Even though many of these windmills were moved here and the area can get crowded with tourists, it is still worth a stop. 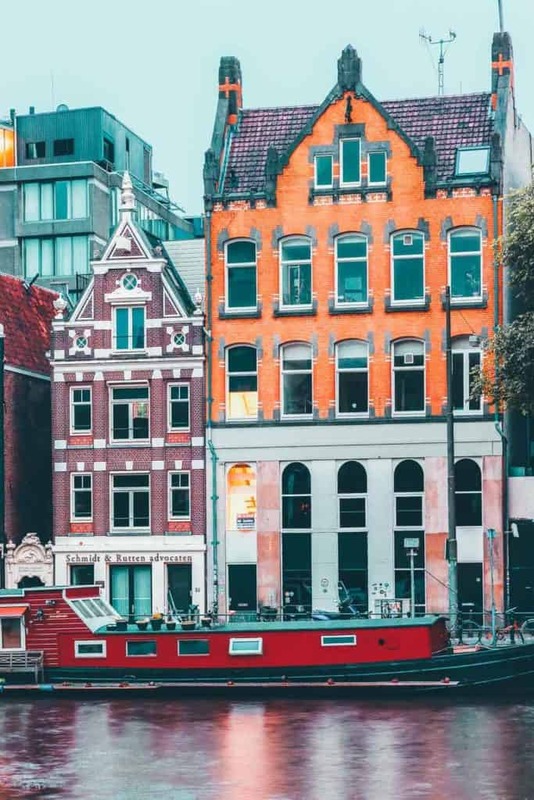 Even though this is where the Dutch King (an almost entirely ceremonial position) and the Dutch Parliament are actually located, this city is one of the most international feeling on earth. It often gets called the “judicial capital of the world” due to it hosting numerous international courts. 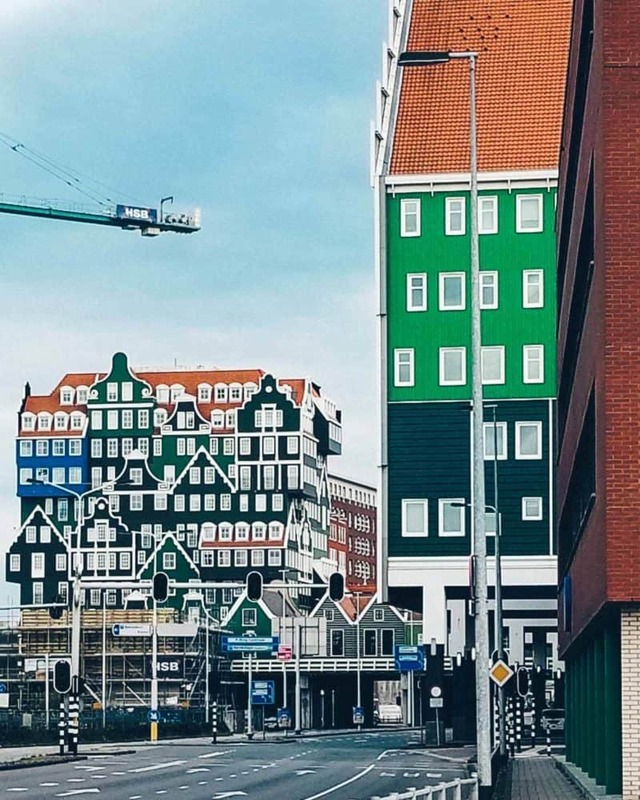 The ultra modern cities of Netherlands are not the only type of attraction available to see. I love the traditional fishing villages that make it seem like you’ve gone back in time 100 years. Of these small villages Marken was my favorite. The fisherman still in action and the quaint wooden houses made it feel like it wasn’t a tourist attraction, even though tourists commonly flock there. Though I’m no horticulturist, I cannot help but fall in love with the millions of tulips during the Dutch spring. 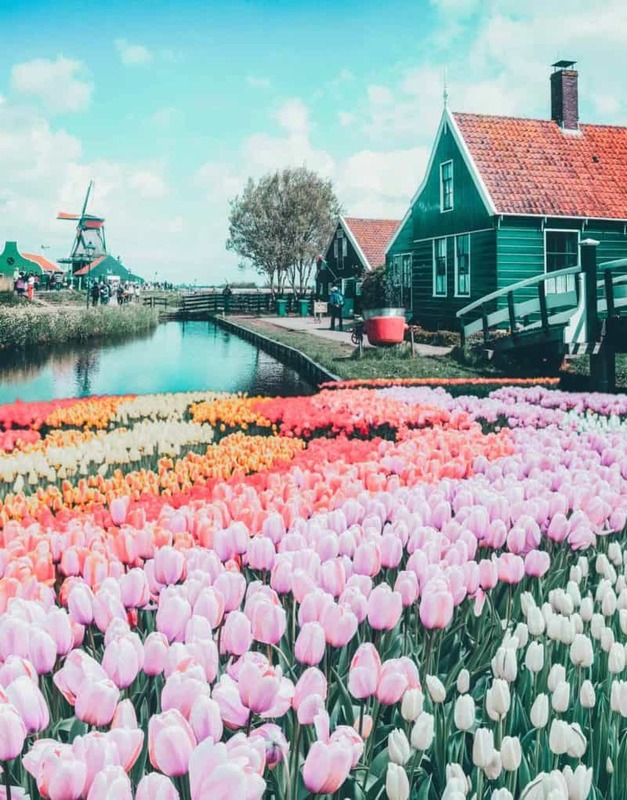 The absolute best place to see the tulips is at Keukenhof Gardens in Lisse, but even if you don’t go to the flower gardens, there are tons of tulip fields planted around the country. Tulip season goes from late March through early May, but April is the best time to see them. If you are driving around the country in the peak season it will be hard to miss fields of gorgeous and dizzying colors. For those that have been already, what was your favorite that I missed? Or for those that haven’t gone yet, what are you most looking forward to seeing?